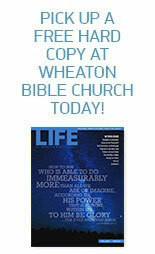 Lon Allison has now been a member of the staff of Wheaton Bible Church for just a little over a year. We recently sat down with Lon to get to know a little more about his life, his ministry, and his heart for the things of God. From early on I was a leader, but I didn’t recognize it. In the fifth grade I was the captain of the safety patrol, and in the sixth grade I was the student body president. I wasn’t quiet, but the extrovert in my personality didn’t come out until Christ came into my life. My dad always said, “Your mother never got anything but an A in school.” I thought, Okay, I can do that—and I did, until high school, when I started studying girls. Then I didn’t care anymore. My dad was a wanderer, an explorer. I was born in Montana; then we moved to the Midwest—Gary, Indiana, then Valparaiso—then to Spokane, Washington. From there to Pacifica, California, right on the beach. I was twelve years old when I hit California, and it fit me like a glove. I believe God used all those moves to prepare me for when He would take me to different parts of the world. Do you remember any church experiences or faith connections from your early years? No, the subject of God or Jesus never came up. Did Mom and Dad believe in God? Yes, but it didn’t really matter to them. I was reared in a secular household. I don’t mean it wasn’t loving; it just wasn’t God driven. The only thing my mom taught us about religion was the Lord’s Prayer, when we were in third or fourth grade. My first time in a church was in the fifth grade, and it was a horrible experience because it was Easter. Why in the world would anybody go to church on Easter? But Grandma and Grandpa came to visit us, and they were deeply devoted Catholics, so we had to go. I thought the whole place was weird. The music was weird. The architecture was weird. The things you sat on were weird. Pews? Darkness. Organ music. I used to think of God as somebody from the Twilight Zone, and my first time in church validated that altogether. Did that affect the kind of person you were becoming? My parents were good, moral people, but I didn’t have any friends who were Christians, or any peer support in a moral lifestyle. 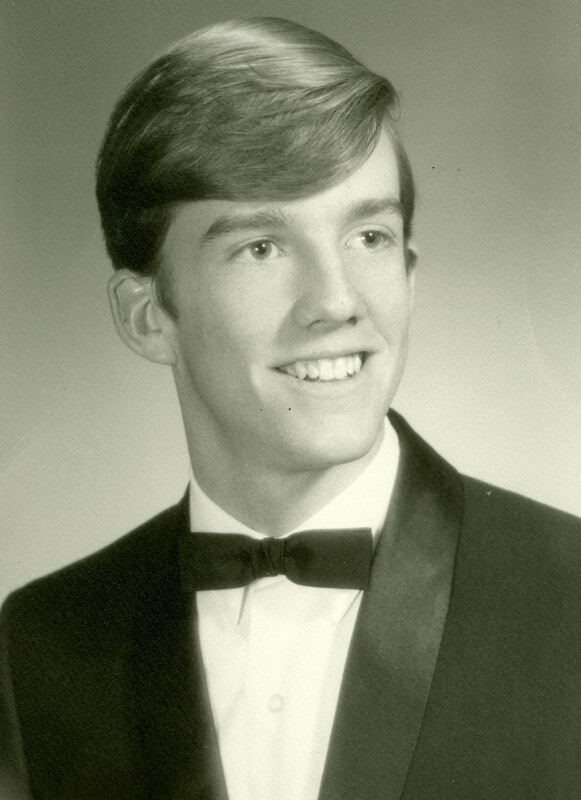 Through my first two years of high school, I got into really bad stuff—getting drunk on Friday nights, smoking, fighting, and trying to use girls. That lasted till the end of my sophomore year. One Friday night, my friends from the neighborhood and I stole some alcohol. One of the guys got really drunk, and we lost track of him. The next thing we knew, the police had caught him and he was on his way to the hospital to have his stomach pumped. As soon as we saw the police putting him in the back of one of their cars, we ran. Then we got together and made up a story the rest of us would stick to. The next day the boy’s parents started calling around to find out what had happened. I remember my dad took me for a ride and said, “I want you to tell me what happened. I just don’t want you to lie to me.” Well, I stuck to the lie we’d come up with, but within twenty-four hours, the truth had come out. When I saw the level of pain I had caused my father and mother—not only by what I’d done that night but because I lied straight to their faces—something started cracking in me. I hadn’t realized I could be that bad. And seeing that reality, and the disappointment I’d caused my parents, I wanted to be a better boy. I immediately went into self-improvement mode. I left the partying crowd and started hanging out with friends who were campus jocks and cheerleaders and student leaders. So at the end of my sophomore year, I changed from one of the bad boys to one of the letter-sweater boys. About that time I got my first look at a girl named Lani—the living vision of Annette Funicello, who I’d had an enormous crush since I watched The Mickey Mouse Club as a little boy. The fact that we shared nearly the same name—Lonnie/Lani—was not lost on me, and she was the reason I accepted an invitation from some of my friends who were Christians to go to a Young Life club. At first I wasn’t interested, but then they said the magic words: “The girl you like goes every Tuesday night.” I had no idea what I was getting into, but I was surprised when I saw eighty or ninety kids sitting in a living room—not in a church—and the guy who was talking was cool. That night I made sure I met Lani. We started hitting it off and eventually began dating. That fall our school won the league championship in football, I had a ‘57 Chevrolet, and my girlfriend was the homecoming princess. Everything was perfect. We went to Young Life together every Tuesday night, and I was starting to hear the Jesus story for the first time, but it didn’t mean that much to me. Because life was so good? Yeah—until I was thrown over for a college guy. One night, after learning that while she was supposed to be babysitting, “my girlfriend” was actually out with the other guy—I drove home, went to my room, and cried like a baby. I don’t think I knew I needed to ask to be forgiven for my sins yet. I prayed because my heart hurt and I wanted anything that would help that. And so the spark of Jesus came into my life, and I think the Holy Spirit entered me even though I had prayed a purely selfish prayer. When I first came to Jesus, my thinking was, Now, I’ve really got to be good, because I want to go to heaven when I die. But now I was hearing that my goodness quotient has nothing to do with it—it’s a gift. You’ve told the story of another chapter in your faith story that relates to the death of your little brother. Where does that come in this timeline? I was 13, and we had just moved to California. When my brother Stevie was little, we had a swimming pool in our backyard. One day Stevie, who was two at the time, followed me and was watching me play baseball with some friends in the neighborhood. I yelled at him and told him to go home. He did, and without my mom knowing it, he got into our backyard and fell into our pool. After Stevie died, I pushed it away so hard that it was seven years before I realized the extent of the guilt I carried. I was twenty when I finally broke loose of the pain of Stevie. I was twenty-years-old then, leading youth groups and leading kids to Jesus, but a bleeding ulcer threw me in the hospital for three weeks. And there, God used the physical pain I experienced to unlock my inner pain. My youth leader came to visit me, and he said, “What’s really wrong with you?” And through the pain meds and the pain, I started telling him. I cried and cried, like I always did when memories of my little brother came up. Father forgive him, he didn’t know what he was doing. That was so real to me, and while I believe I was born again when I invited Christ into my life at age 16, I know that night in the hospital room I was taken over by God and released from years of crippling guilt. Did your family ever come to faith? Yes! Over the course of the next several years I saw all of my family make spiritual decisions. My sister give her heart to Jesus at Vacation Bible School. I took my brother, who was two years younger, to an evangelistic crusade, and he went forward, and I went with him. I saw my dad raise his hand and give his life to Christ in one of the first sermons I preached publicly. I saw my mom move from being a disillusioned and backslidden religious person to suddenly wanting to get into Bible studies and small groups. She said she knew God was real when her eighteen-year-old son would choose to be in his room reading his Bible instead of eating breakfast in the morning. She knew there was something supernatural happening. When and where did you go to college? I went to junior college for two years, and then to Cal State University, first studying psychology, but eventually, because I was enjoying my job as a program director at a local YMCA, I ended up earning a BS in recreational science. They put me in charge of the youth programs, and because I had come to Jesus, I pretty much turned our Y into a Young Life club. How did you first get into ministry? I worked at the Y throughout college, then in my senior year I’d finally gotten into a church—because the Young Life director told me I had to. I didn’t see much connection between church and Christianity, but I agreed to try the church of the youth director who came to visit me in the hospital. I started bringing young people with me to church, and pretty soon the senior pastor asked me to fill in as youth pastor for three months while they found someone permanent. That summer gig turned into three-and-a-half years. It was at the height of the Jesus Movement, and we were seeing tons of people come to Jesus. And during those years, I finished college and started working on my MA in theology at Fuller Seminary. Then one day the man who had been my senior pastor said, “I think you have gifts in evangelism, and I think you could plant a church.” I said, “Really?” I knew something about working with young people, but I didn’t know how I would do with adults. But we started dreaming about what a church could look like that would reach unchurched people. We talked about music—contemporary music that people could relate to, and drama. And rather than buy a building—we had no money anyway—we could rent a theater, because people are used to going to movie theaters. I was still such an unchurched person myself, and I was really getting excited about what it would take to make this new church a welcoming place for people far from God. Was Marie in your life at that point? Marie and I were just starting to go out. I was 24, and she was seven years younger. I was concerned about the age difference, but after our Senior Pastor gave his blessing, we started dating. I knew this was a very special young woman, who was so fresh and alive in Jesus. Interestingly, our first “real” date was during a trip to the Holy Land—sitting on the shores of the Sea of Galilee, watching the waves and the full moon—an evening I’ll never forget. 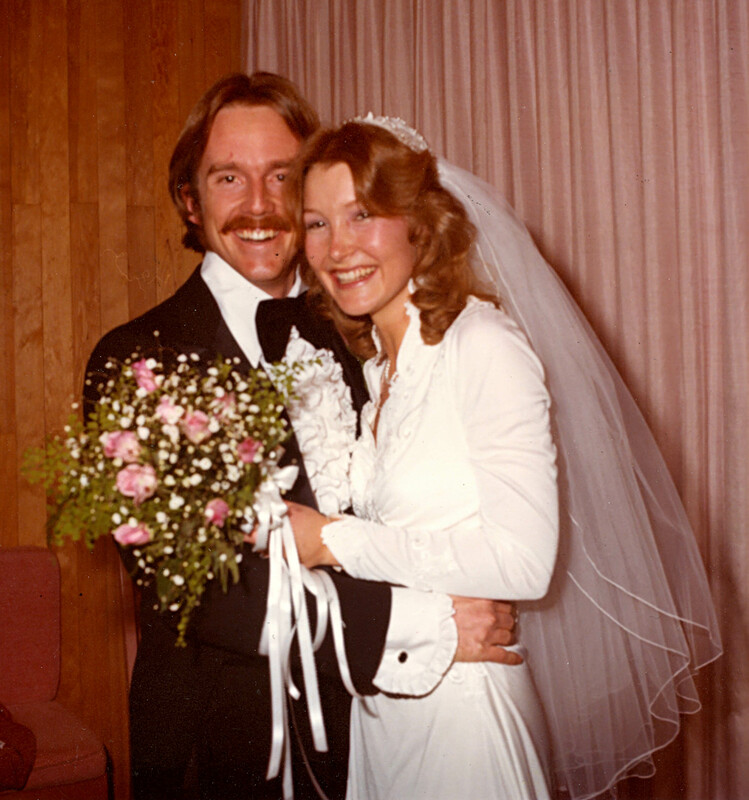 We started the church on January 15, 1978, and Marie and I married a little over a year later. We took off on a run, praying like crazy that God would bring unchurched people. And did I mention that we didn’t rent just any movie theater? It was the town’s X-rated movie theater. But we couldn’t do a service till we cleaned the building each week, and you can’t imagine what that place was like after the filth of Saturday night. We had a committed team—including my parents—who got up at four o’clock in the morning to go there with brooms and vacuums, and gloves on their hands. That church grew to 350 in year one and to 800 by the fourth year. It was a great movement of God. And that church still exists in the same theater, which we bought two years in. They’ve renovated it in a lot of ways, but it still looks like a theater on the outside. So you and Marie married during that pastorate. And then? Why did you give up acting? He should have said no, but because he was such a good friend, he said yes. So I drove to San Francisco and got there the next morning. I was in the trailer, working on the script. Then we were shooting. And I was thinking, Okay, this one could really be a step to something big for me. But as the cameras were rolling, all I could think about was those kids in Southern California and how much I loved them and how much I wanted them to know Jesus. The Holy Spirit was saying, I made you and gave you what I’ve given you so that you will be My actor for the rest of your life, so that you will seek to tell My story the best way you can. I finished the shoot, but that was a turning point for me. We prayed for six months and had a sense God was saying yes, so we moved to Chicago, where the denomination’s headquarters are located. In Palatine. For Marie and me and the two girls, coming from California, the Midwest was magical! We got here in the middle of September, and the leaves were starting to change. We couldn’t wait to see if there would be snow for that first Christmas. What did your job look like at that point? My primary role was to train Christians to share their faith as a way of life. I traveled across the United States as sort of an “evangelism Pied Piper” for the Evangelical Covenant denomination. The secret of evangelism is equipping the saints. So we created training seminars, and I trained a team so we could be in different parts of the country every weekend. I loved those years. I was in megachurches, urban churches, and rural churches where there aren’t even any road signs. I ate so many potluck dinners that I thought about writing a book called Potlucks across America. Meanwhile, Marie’s home with two kids? 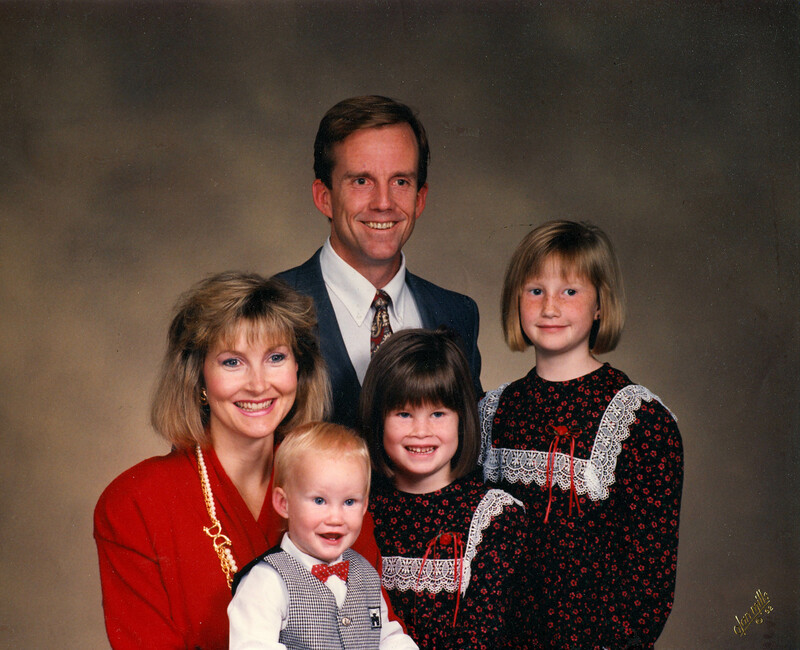 Yes, and then our son, Eric, came along, so we had three little kids (those kids are now 29, 26, and 23.) Looking back, I can begin to see how much Marie handled, with me on the road over a hundred days a year and also working on my doctorate through Gordon-Conwell Seminary. The kids had never known anything else, but we knew it wasn’t great. There were times Marie would say, “You are away too much.” The truth is, I controlled my own schedule, so I still had a lot to learn. Fortunately, I had a great mentor, a guy named Leighton Ford. 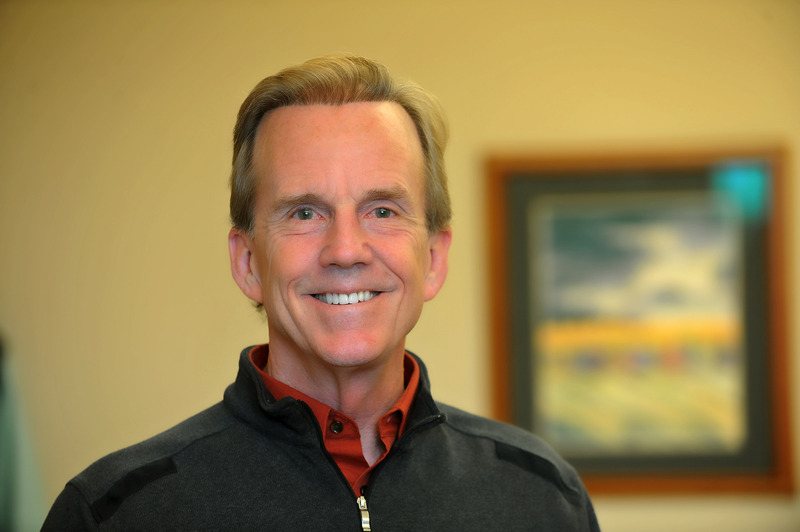 He had recently stepped down as the number two evangelist in the Billy Graham organization, but he remained a global leader in the area of evangelism, serving as chairman of the Lausanne Committee for World Evangelization. I was asking God to send me someone I could learn from, and about the same time Leighton had come to a point when he said, “I want to step down from my positions of power and pour myself into younger leaders.” I got to be one of those young leaders. He began to help me understand how to do things, even things like when you travel for five days what’s it like when you reenter your family system. You did that for nine years. What was your next move? I said, “I’d lead the Billy Graham Center at Wheaton College. It’s the blending of the learning and practice. They’re cutting edge in doing evangelism. Have you seen that place? At night it shines like this massive building that stands for evangelism and the Gospel. A place that trains people to get the Gospel out to the world.” I didn’t know a thing about Wheaton College, but I’d visited the Graham Center and was really impressed. How long had the Billy Graham Center been in existence when you went there? About twenty years. The building was opened in 1980, and I joined the team there in September of 1998 as its fourth director. Did all your hopes and passions bear fruit there? Not entirely. I’d say the same thing Billy Graham once said to his sister Jeanie when she asked him, “What do you want me to say at your memorial?” Mr. Graham said, “Just tell people I did the best that I could.” So the fifteen years I was at the Billy Graham Center, I did the best that I prayerfully could. What do you think was the most significant, personally satisfying thing you did there? Probably an evangelism initiative we created so that professors and students would be prepared and equipped to share their faith. Today that initiative has found its way into something like twenty Christian colleges, so as students are becoming philosophers and doctors and teachers, they are also learning how to share the Gospel. Learning how to do that may have been the most important thing that happened to me at the Graham Center, and it’s one of the passions I bring to the church. That brings us to your role at Wheaton Bible Church. What was your first connection here? Rob Bugh reached out to welcome me when I came to the Graham Center. He was pastoral and also he had such a deep desire for the church to be more evangelism driven. The next thing I knew, I was speaking at a MissionsFest. Rob spent an hour with Marie and then said, “Marie, I want you to think of coming here. We’ve got two positions open. You look at them both—because you’re the kind of person we want to have on the bus, and we just need to find the right seat for you.” That meeting led to Marie’s calling to lead the Connect Ministry at Wheaton Bible Church, where she still serves today. Marie is absolutely amazing at connecting people to God and to the Church. How did you come to join Marie at WBC? I had been praying for two or three years about where God wanted me for the next stage of ministry. My job had become highly administrative and involved a lot of fundraising. It was not the job God had called me to the Graham Center to do. On Sunday, December 2, 2012, I wasn’t on the road anywhere that weekend, so I got to come to my church! As I prayed at home I had this impression from God: I’m going to release you in the next year from the Graham Center. We went to lunch, and I told him what had happened. “Would you consider coming and working for us?” Rob asked me. “Well,” I said, “the Lord didn’t give me freedom to make any choices yet. Can I count on you to pray for me?” Rob said he would. So I started asking God for guidance, and one day in my quiet time, I had the sense the Lord was saying to me, If you could do anything you wanted to do, what would it be? I started writing down my thoughts: I’d love to go back to the local church, but I don’t want to be the Senior Pastor. I’d like to be in a large church—because that’s where evangelism leadership is happening. How about preaching ministry—a teaching-pastor role where I get to speak to the same congregation and love on people. And maybe still have some time to do some global traveling and speaking, because I have seen God work through networks and connections around the world. So we started to shape this position. But I still hadn’t sensed a clear call from God to come here. I said, “Lord, you’ve always made it so clear. I’m afraid to go anywhere if I don’t know it’s You for sure. I haven’t had a dream from You, any word from You.” And then it hit me. He was telling me, “I have made it clear. The Elders of that church voted unanimously for you to come. The Senior Pastor wants you to come. Remember Paul and Barnabas? The Elders of the church thought it was right to send them out. I have spoken, but not directly to you. I’ve spoken to the Body.” I knew that was God’s sure word to me. I wrote my resignation letter that night. I transitioned out of the Graham Center over the next three months and started at the church on October 5, 2013. What is your passion in ministry today? My heart is for the church that’s not here yet—the men and women and students and children around us who don’t know Jesus. There’s also a sense of urgency; we don’t know how long we have. Is there a Scripture that drives that for you? A sight to take your breath away. Grand processions of people telling the good things about God. What is your prayer for our church? My prayer for Wheaton Bible Church, which I first heard from Marie, is that all of us will be people who have the Gospel on the tip of our tongue. I’d love to see our church be famous as a place where people who are looking for God can come, and a place where people who know God are always going out to help others find Him.